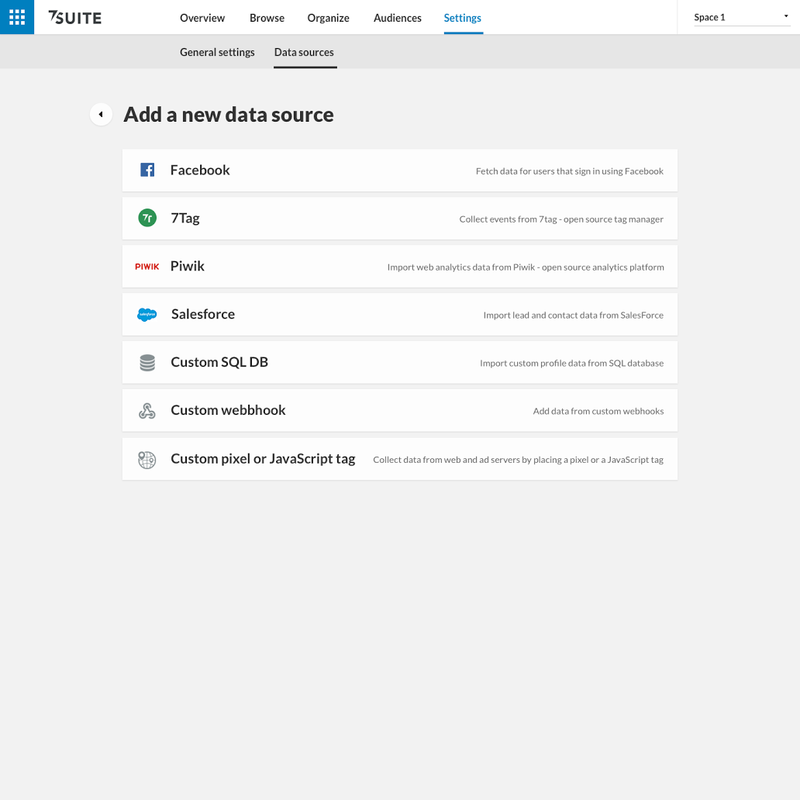 We created 7suite to fill the gaps in existing data management solutions with full data control, customization and pricing that allows demand-side users to scale their offerings and supply-side users to better monetize their data. Clearcode, the leader in delivering custom marketing and advertising platforms, today released 7suite, a fully customizable data management stack for ad tech/martech companies, ad agencies, publishers, and app developers. 7suite consists of a DMP (data management platform), tag manager, and content personalization engine, all which can be tailored to the specific needs of each client or end user. Once 7suite is customized per the client’s requirements, it’s deployed and can be hosted in the client’s or end user’s private cloud or infrastructure - ensuring full data control and security. 7suite provides data control and flexibility from a technology standpoint and pricing structure that other solutions lack. Customization and scalable pricing make 7suite ideal for ad tech companies with multiple customers that need to easily integrate custom data management tools into their larger technology stack. 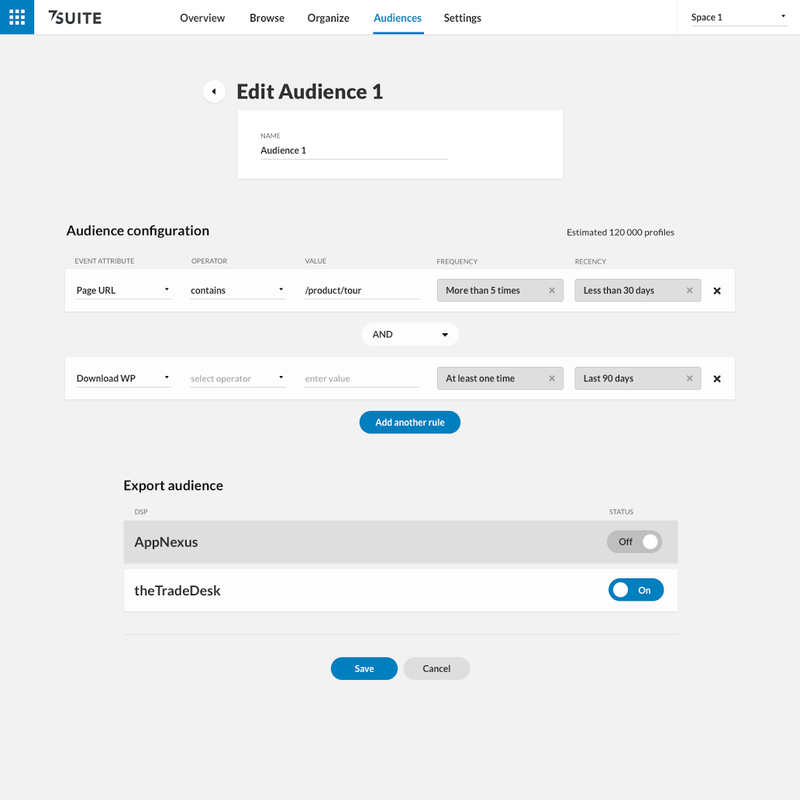 Data Management: 7suite’s DMP enables users to collect all of their first-party customer data and combine it to create audience segments – which can be used to display personalized content and messages to website visitors. Tag Management: 7suite’s tag manager enables users to set up, deploy, and manage all of their website’s tags and send all the needed data from their website to the 7suite DMP. Content Personalization: 7suite’s content personalization engine enables users to use custom audience data to display personalized content and increase user engagement, boost revenues, and improve their marketing campaigns. 7suite Data Management Stack benefits users on the demand-side (advertisers, DSPs, agencies) and the supply-side (publishers and app developers). Ad Tech and Martech companies: Speed up time-to-market and extend client offerings by adding custom data management functionalities to core technology. Advertising Agencies: Improve market position by offering a white labelled DMP to clients. Publishers: Monetize inventory and web traffic by enriching ad tags with user data and exporting audience segments to technology platforms (e.g. DSPs and DMPs). App Developers: Personalize the user experience and improve app engagement by getting a better understanding of how customers use it. 7suite was created by Clearcode, a software development company specializing in building custom marketing and advertising platforms. Clearcode has vast experience in building a variety of marketing and advertising platforms including Demand Side Platforms (DSPs), Data Management Platforms (DMPs), remarketing and re-engagement platforms, data-measurement and analytics platforms, ad servers and other components of the ecosystem. Clearcode is offering exclusive access to 7suite through its Early Adopters Program, where early users will secure premier support and a lifetime discount on all 7suite products. To learn more and apply, visit: https://7suite.com/ or email contact(at)7suite(dot)com. Clearcode is a software development company specializing in building custom marketing and advertising platforms. Clearcode clients benefit from services at every stage of a project’s lifecycle from planning and feature identification, to UX/UI design and prototyping, development and testing, and application support and maintenance. A wide range of innovative companies from startups to enterprises have used Clearcode to stay competitive by bringing software projects to market quickly. Founded in 2009, Clearcode has offices in New York and Poland. For more information, visit http://www.clearcode.cc.